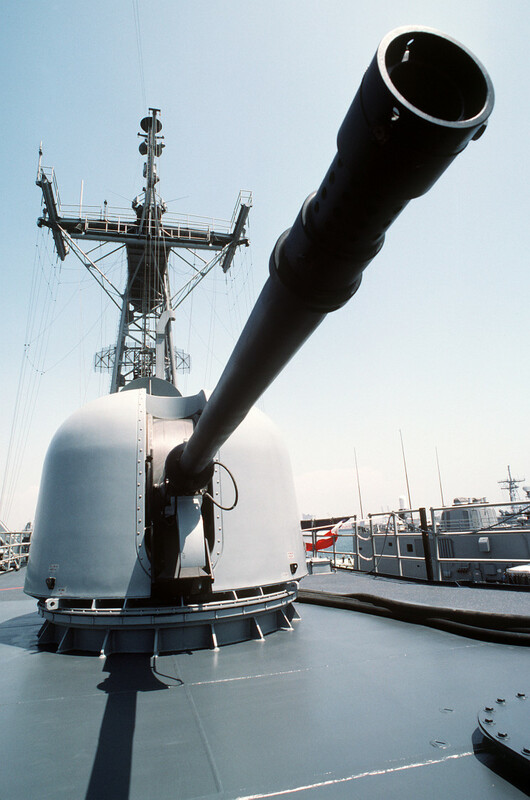 The 3"/62 (76mm) MK 75 turret on the USS Reuben James FFG-57. 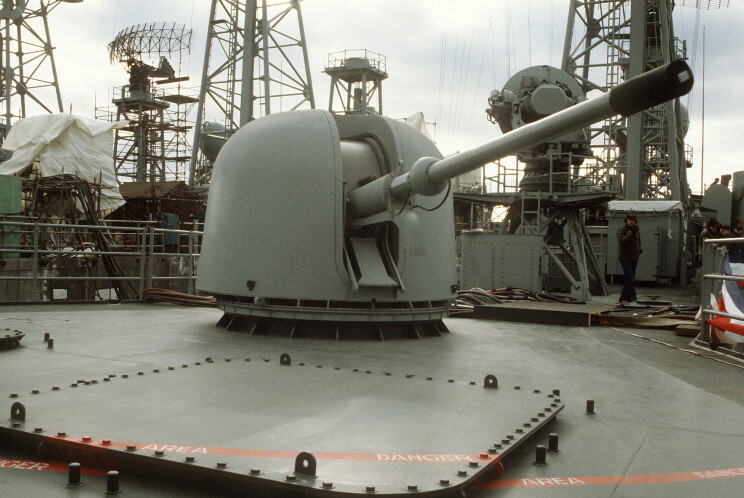 The 3"/62 (76mm) Mk 75 turret on the USS DeWert FFG-45. 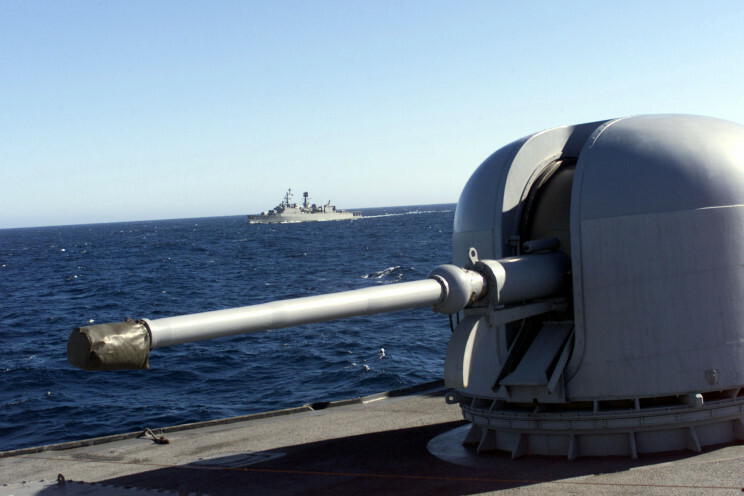 The 3"/62 (76mm) Mk 75 turret on the USS Rodney M. Davis FFG-60. 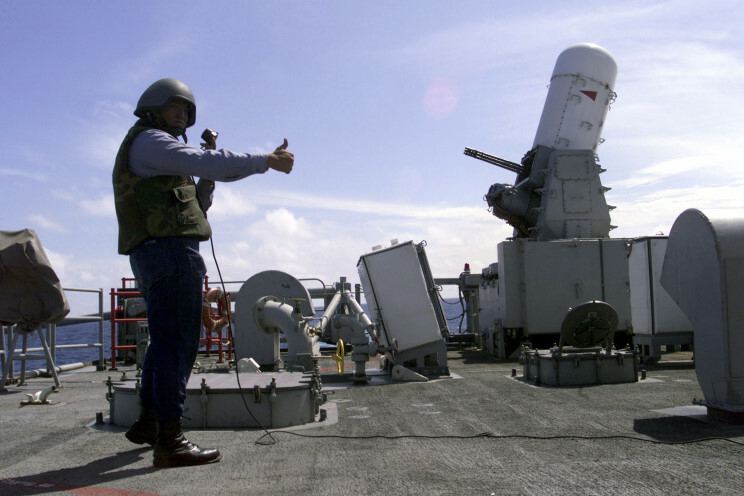 The Vulcan Phalanx 20mm Mk 15 CIWS (Close in weapons system) on the USS Reuben James FFG-57. 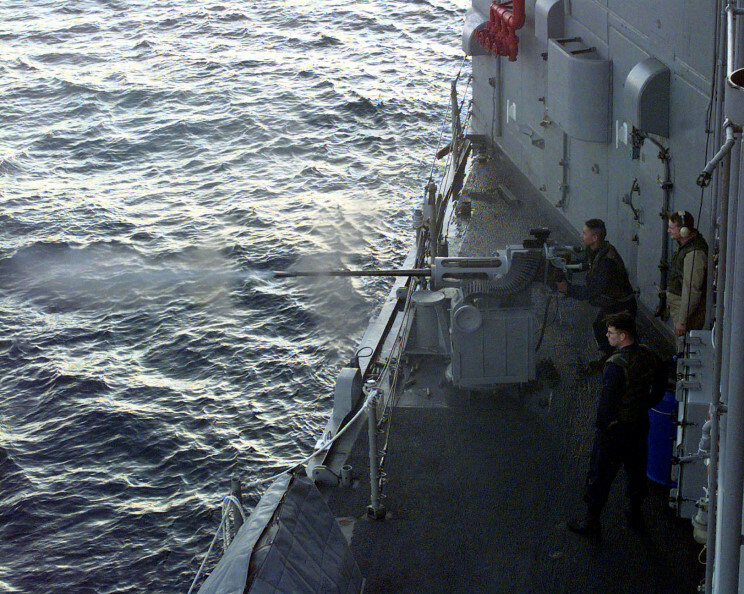 The 25mm Mk 38 Chain gun of the USS Samuel B. Roberts FFG-58.